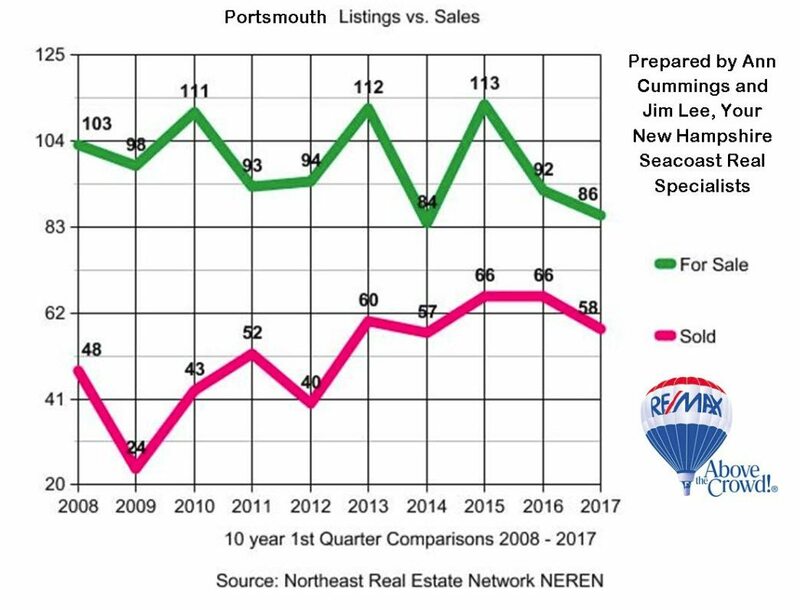 Portsmouth’s first quarter of real estate activity for 2017 is now firmly in the books and we can take a look at this just passed 1st quarter compared to others. As the chart below shows, sales for this first quarter have remained fairly steady at around 60 sales each 3 month period back to 2013. What has changed a lot is the number of active listings dropping from a high of 113 in 2015 to close to a 10 year low in 2017. What do these numbers mean in the real world for the Portsmouth NH Real Estate market? Low inventory and high demand put Portsmouth firmly in a seller’s market. 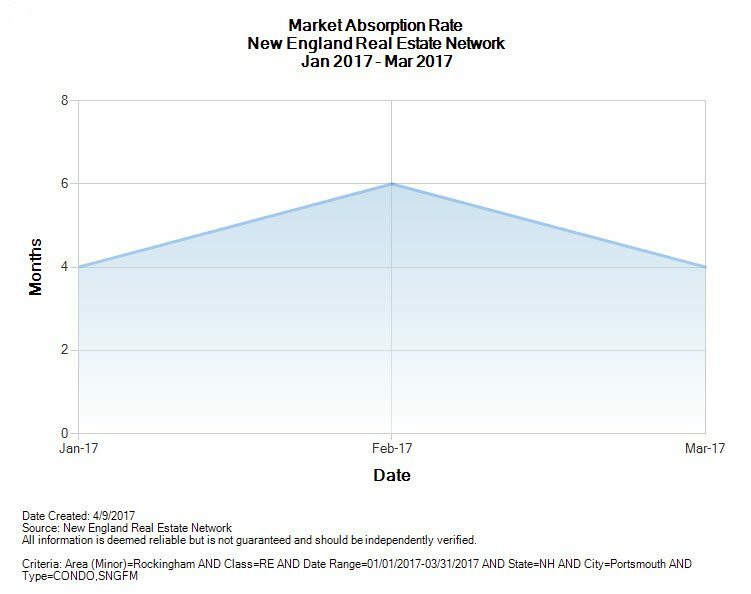 We can further validate that by looking at the current absorption rates for Portsmouth NH. Generally speaking anything over a 6 month supply of homes for sale is a buyer’s market and any number under 6 months is a seller’s market. As the numbers show Portsmouth started off the year in a strong seller’s market and then jumped up to a balanced market in February before settling back into the current seller’s market we’re in now in April. What an small supply of Portsmouth homes for sale means is that most sales are very close to the asking price and in some hot areas of town, bidding wars drive the price well above the asking price. If you’re wondering what your current NH Seacoast or southern Maine home might be worth in today’s market we have a great tool to give you an estimate, just click here, put in your property address, and we’ll tell you in 15 seconds or less. 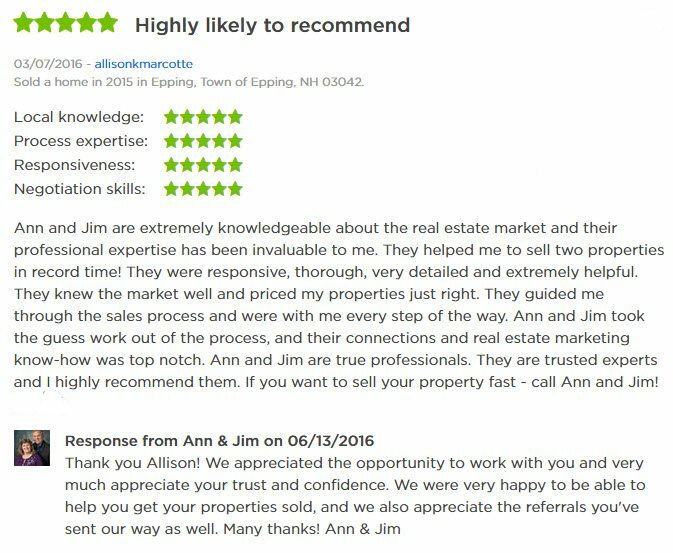 My partner Ann Cummings and I each have well over 35 years of successful experience in both good market and bad. We’re well prepared and equipped to guide you through the real estate sales process and get you to a successful closing. Read what some of our past clients say about working with us and our job performance at this link. give us a call or text at 603-436-1221 and let’s talk about your real estate goals and how we can get you there.